Today you are going to see what miracles are made of. This family home, renovated by design professionals, EWAA is a perfect example of how modern design and innovative creativity work together. Walt Disney once said, We keep moving forward, opening new doors, and doing new things, because we're curious and curiosity keeps leading us down new paths. Today we will see how beneficial change can be! In this image, we can see that while this home was once grand and attractive, it has become a little bit outdated and run down. 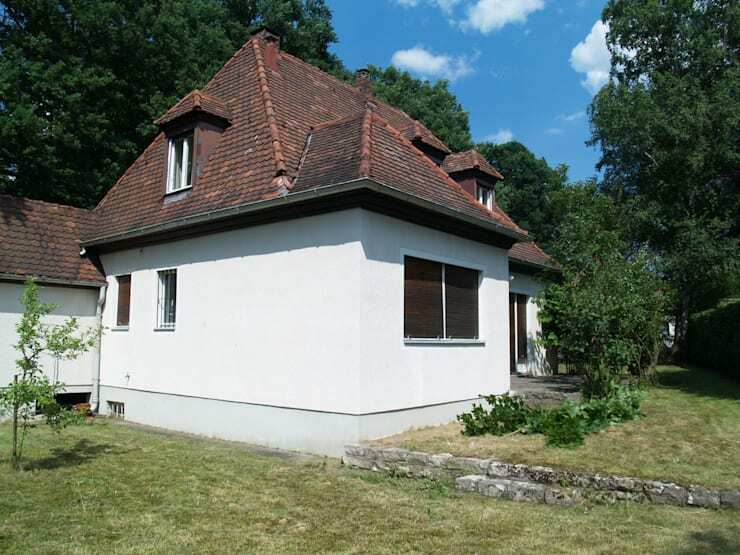 The garden is overgrown, the roof looks like it is falling part and the style is very old-fashioned. Remember that you should look after your home, fixing any cracks or leaks as and when they happen. Give the facade a fresh coat of paint ever so often too. You also want to keep the garden well-maintained so that it enhances the facade and makes for another multi-functional space that you can enjoy with the family. The bathroom inside the previous home is just awful! 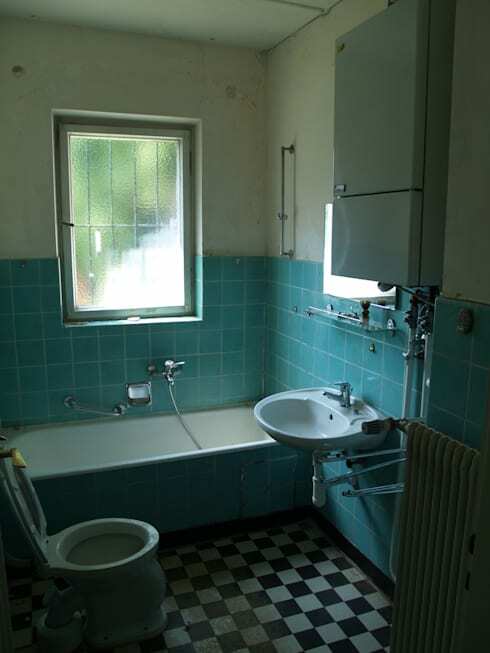 The bright blue tiles clash with the black and white checkered floor while the old-fashioned toilet, basin and bath/shower are not very appealing. This space also hasn't been utilized correctly so the room looks very cramped and crowded. 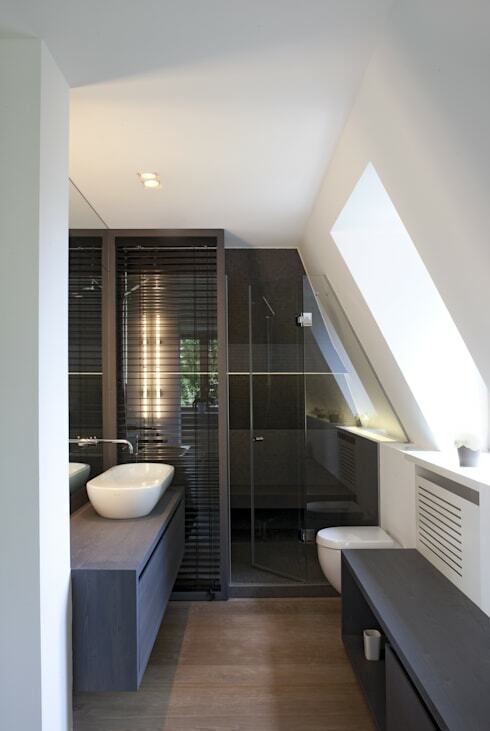 Your bathroom is meant to be a serene space where you can relax and enjoy some peace and quiet. Thus you want it to be clean and well-organized as well as spacious, stylish, light and bright. This bathroom is anything but. The designers have stuck to the original design, making the most of the traditional architecture. However, they've given it a refreshing and modern new look and feel. The walls have received a clean white coat of paint while the windows and doors have been replaced. 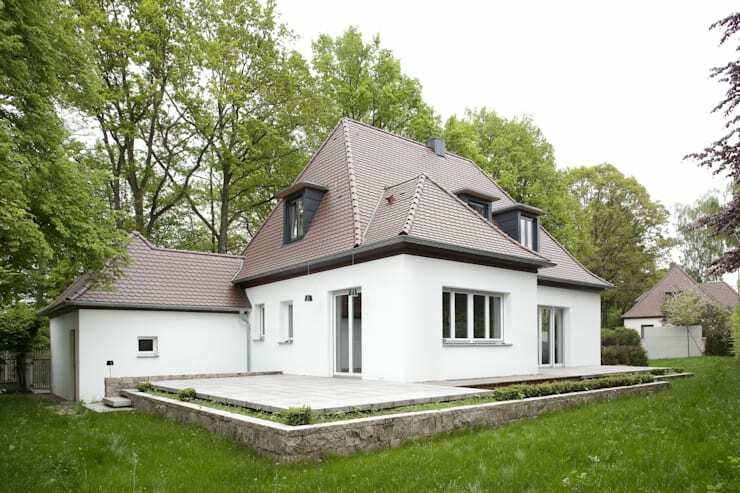 The roof is also brand new with restored tiles that neatly package this home beneath it. The garden has also been pruned and perfected so that it enhances the exterior design. Have a look at these tips for making a big impression with a front garden. The designers have chosen a very contemporary design for the interiors of this new and improved home. Here we can see how the kitchen flows into the rest of the living space, while still being subtly separated by a large, kitchen island. 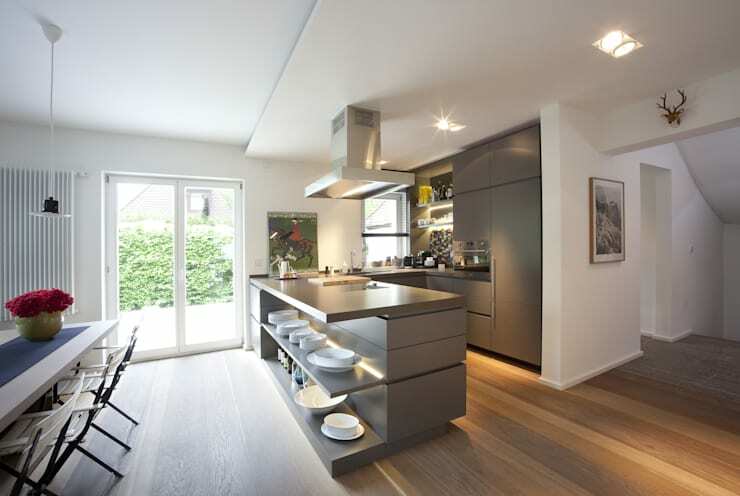 The warm wooden floors and white walls enhance the natural light that flows into this space while the sleek silver appliances and grey tones in the kitchen make for a very sophisticated and appealing kitchen design. From this angle, we can see how the kitchen flows onto a dining room, which also features neutral tones. However, the designers have added some royal blue cushioning to the dining room chairs, which bring a little bit of personality and colour to the home. The little vases of flowers on the table refresh this space with a natural form of decor, while the trendy lamps that hang down from the ceiling bring some trend and style to the home. There is a carefully selected piece of artwork on the wall, which shows that you don't need to overwhelm a space with detail and design. A few touches here and there can make a huge impact. 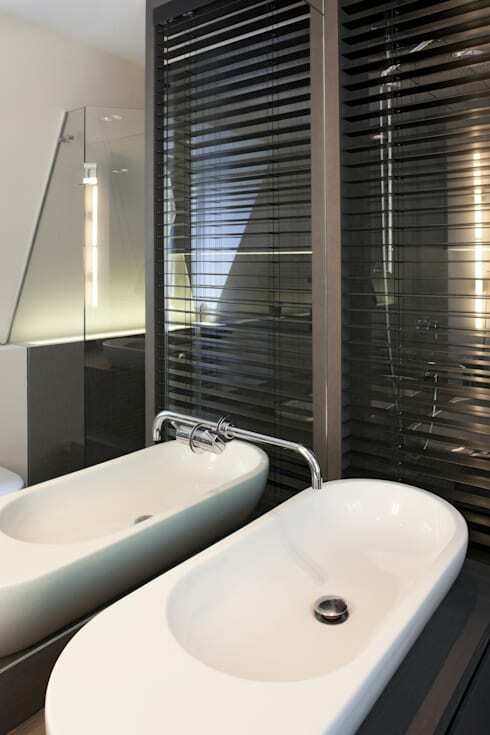 The designers have manged to achieve a very warm and stylish bathroom, which is like chalk and cheese compared to the bathroom in the previous house! The large windows installed allow natural light to flow into the room, but they have been placed at an angle so they still offer the family privacy. The bathroom has also been redesigned so that modern features fit into it far more strategically. The darker tones have also been used to bring a bit of edge to the space, without making the room seem dark or claustrophobic thanks to the natural light. Remember that you can achieve a home that looks renovated, just by changing a few details around. In your bathroom for example, you can replace old basins, sinks and toilets and end up with a space that looks completely refreshed. Have a look at these brilliant beautiful bathroom trends to see how else you can revamp this space! This new and improved space is simply breathtaking!